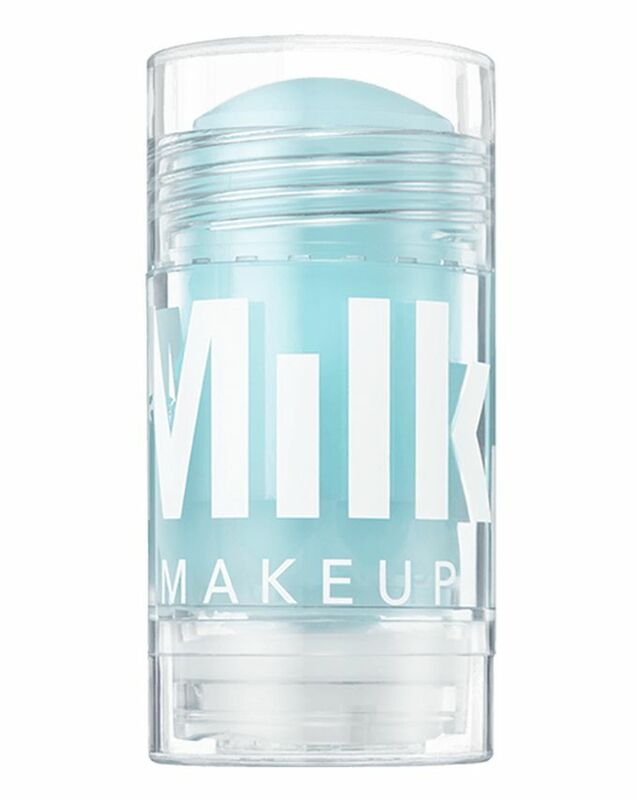 How best to describe Milk Makeup’s Cooling Water? Think: drinking an iced coffee on a baking August day. An innovative formula that's earned 'essential' status in the bags of beauty addicts everywhere, this ingenious balm grants an instant refreshing and cooling sensation when smoothed over skin. The perfect post-lunch pick-me-up, this icy stick's hydrating and cell-energising properties are amplified by caffeine which boosts micro-circulation to revitalise and leave skin looking super fresh and glowing. The ultimate cheat when you really need sleep (and a doppio shot of espresso), keep this within easy reach at all times. Skin feeling hot, tired, puffy or parched? 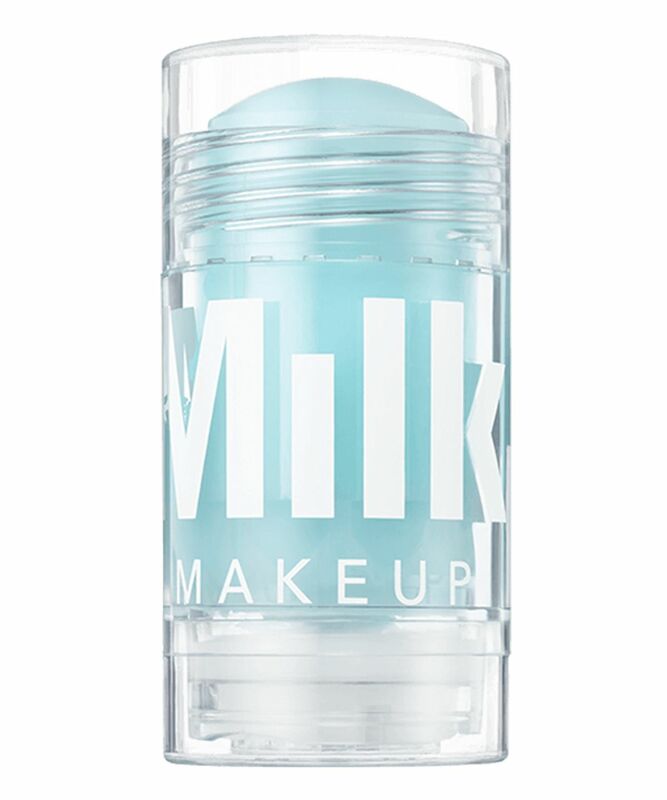 Reach for Milk Makeup’s unique Cooling Water. Not just for making your mornings more bearable, caffeine's the star of this impressive, blue-hued stick serum – energising sleep-deprived complexions by increasing micro-circulation. And its stimulating talents don’t end there; this intelligent formula has an immediate cooling effect when applied that's ideal for awakening sleep-deprived cells and de-puffing your overtired eyes. The soothing sensation is perfect for summertime, travel or helping to counter the afternoon slump, while the blend of marine extracts helps to calm stressed-out or irritated complexions. The icing on the cake (or froth on the latte) is that Cooling Water is 100% vegan, cruelty-free and paraben-free. Stay cool, Cult Beauties. Apply the Cooling Water to your neck, face and body whenever you need a hydrating boost. I actually love this! I have bags under my eyes almost as big as my bum (exaggerating a bit...nothing is THAT big) but since using this there has been a significant difference, it feels cooling and does not affect my sensitive eyes. A good item for travelling to revitalise the undereye area. I keep mine in the fridge for an extra boost! It would be good on temples if had a headache. I honestly don’t know what this does, I could go a day without using it and it won’t bother me. I love putting it on due to the packaging, texture and the easy application but seriously I don’t see any change in my skin. I find this product great to use in the morning if I’m congested as it helps with the puffiness around my eyes. I also like using it for when I have a headache which regularly happens around my eye/temple. I massage the product into the area where my head hurts for a while and it just soothes the area. I was glad to get a mini version of this in the 'Meet the Fam' set when Milk launched on Cult Beauty, as this was one product I wanted to try. I agree that the cooling sensation doesn't last long and don't feel instant relief compared to my other eye products. However, I do think it's moisturising without being greasy plus it does seem to wake up my under-eyes in the morning. At first, I wasn't sure about this product, I was testing the pods I received and I was a bit worried I'd bought a big version of something that did nothing at all. However, when I couldn't be bothered faffing with samples anymore I opened the full size one and was pleasantly surprised! It's not as cooling as I expected, but it's still a very nice feeling and does make my face feel nice and hydrated. Also, I get quite bad dark circles and slight puffiness around my eyes in the morning and it feels really relaxing applying to that area and I'm sure they look much better after! I definitely think I'd recommend this. I bought this the day of the launch alongside the watermelon serum and both products have been bitter disappointments. The cooling water felt cool for a half a second and then just felt greasy there was no de-puffing benefits, it did not wake up my tired skin, it offered no aid to my parched skin and my skin felt exactly the same as prior to using it. As a huge skin care buff and consumer this is one of my worst buys in a very long time epic fail Milk. Feels so good! Really refreshing and cooling and also feels moisturising. This will be amazing in the summer. I apply Cooling water to my face and after a few minutes I get an allergy - a big red rash. I will not buy it again. This product is amazing. I tried a sample of it first which was this tiny little button thing. It was really cooling and I was blown away by how much it took down my morning puffiness around my eyes. So I bought the full size stick and I love it. Skincare is so individual so it may not be the same result for everyone, but it certainly works for me. 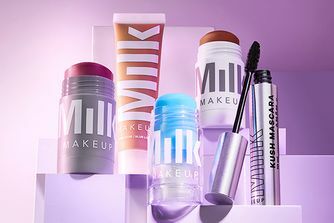 In fact I personally have got on great with all the Milk Makeup products I have bought so far. I have quite sensitive skin and this hasn't caused any problems with that either. I will definitely repurchase this. Love love love! Love the feeling of this product, especially under my eyes. I will definitely buy again but not giving 5 stars as I am not sure of the lasting effects. Mi piace questo prodotto, lascia il contorno occhi fresco e attenua le borse...peccato che sul sito non vendano le mini tagli o l’avrei già presa da tenere in borsa! *** I like this product, leave the eye fresh and softens the bags ... pity that on the site do not sell the mini cuts or I would have already taken to keep in the bag! Not sure if this was over-hyped on social media but I’m a tad disappointed. Have been using this since the launch and have seen little to no difference. I don’t even feel the cooling sensation. I replaced my Rosehip oil with this and my skin does not feel moisturised enough to place makeup over. Props to the great packaging though. Where was this product during the heatwave 2018? Regardless it is lovely to use during the winter months too. Very happy with this purchase. I have combination and sometimes sensitive skin. In the Winter my skin can get a little dry/chapped because of harsh wind and indoor heating, whilst also being spotty; I wanted to try this to calm and soothe any problem areas. So far I love this. Love the feeling - moisturised but light and fresh. Makes me think of lip balm for the face! It's too soon to notice if it affects my skin significantly but since I received it several days ago I have used it everyday and my skin is softer and less dry. I like how it feels like there is a moisture barrier against the elements. I think it's a great buy and would recommend trying out.